Yes, it is. 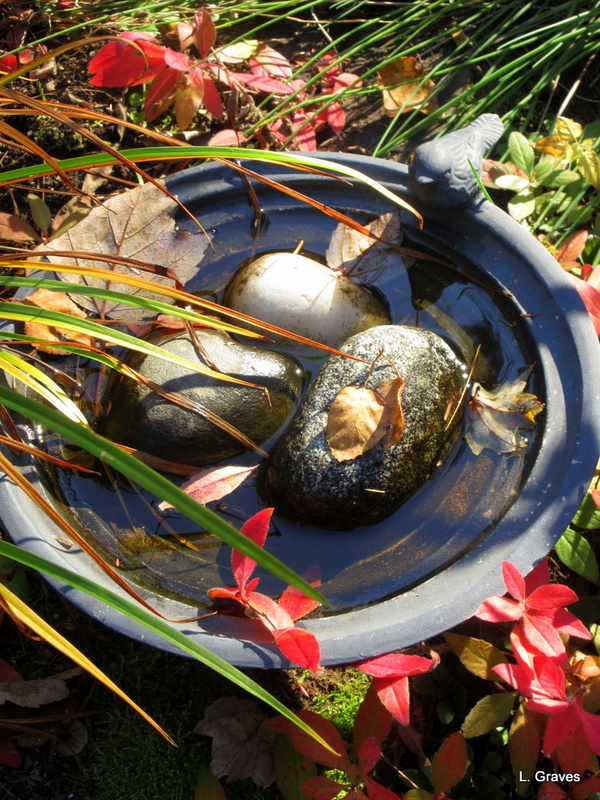 Love your birdbath! Thanks! It will be going inside soon. Yep. Though today the weather is so beautiful, it’s hard to believe it’s autumn. It looks as if you’ve been having plenty of sunshine to go with the colourful leaves. Sun and rain, too. A good mix. It’s nice that the birds can continue to use the birdbath for a little longer! Didn’t the pines smell heavenly today?!? That’s a lovely shot–kind of captures the transition to fall perfectly! I like the sunlight in that picture.